“In my experience, prophetic calls to the church come in two ways. The first comes out of the wounds of the prophetic voice, which in the midst of his or her pain sees how the church should be different. Because these perspectives are so deeply rooted in personal perspective and pain they are often tinged with hurt and anger and thus are easily dismissed by those being spoken to whether or not they bear truth from God. The second kind of prophet comes as a coach-an encourager-a lover of the kingdom of God-who sees in the church a straying from what might be-perhaps the very mandate of God Himself-and longingly calls the church to reclaim what she was created in the mind of God to be. This prophetic message includes the sad results of choices that are comparable to choosing to be infatuated with plastic beads and costume jewelry while an inheritance of gems of great value and heritage lie forgotten, covered with dust in the dark recesses of a forgotten closet. This prophet calls us to discover what is truly valuable and warns that God will not leave us to toy with the fraudulent and unimportant. Attention to this kind of prophetic call ought not be dismissed for it calls us, in love, to re-claim our inheritance as beloved children of the most High God who, if we allow Him to work through us will begin to bring about His kingdom through us. John Bost is of the second kind of these prophetic voices. He is in love with the Bridegroom whose goal is to present His bride, the church, to Himself spotless and without wrinkle and that she might do His work in this world, preparing for His coming. I have known John for most of the eighteen years I have served as a mainline pastor in the city where both of us live. John has been a faithful part of his own tradition, serving in the church and seeking to be involved in ministry to the city. But John’s vision for the work of Christ has gone well beyond his own tradition, seeking to work with disciples of other traditions pairing up in such a way that each can be faithful to their own tradition, yet deeply involved in bringing the distinctive of the Kingdom of God to a whole city. When Jesus was asked by John the Baptist if He was the messiah, Jesus responds, “The blind receive sight, the lame walk, those who have leprosy are cured, the deaf hear, the dead are raised, and the good news is preached to the poor.” John Bost believes that as Jesus was sent into the world, we too are sent in His name into the world–especially to the cities in which we live, to make a measurable difference. As he has worked with churches, he has been distressed that so often churches are so occupied with the `stuff’ of being a local church, that the opportunity of reaching and impacting a city has no energy available for it. It is as if the way we have chosen to do and be the church in modern America has sapped all the energy away from the activities that Jesus identifies as being core to his Kingdom. If that is true, is our Lord willing to sit by while we ignore His calling? 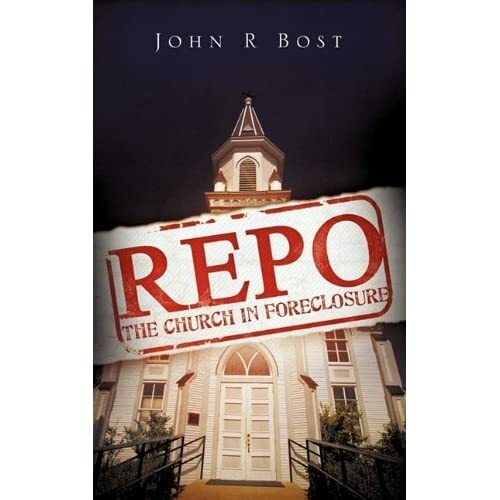 Will He `repossess’ His church, calling us to rediscover the incredible wealth of our gifts, for some time now shut away in some dark closet? -Rev. Russ H. Ritchel Jr., M.Div., D.Min.